The first time I used video in content marketing, I was so excited. I was extremely proud of the work and its potential to help viewers understand what I was trying to communicate. So with a sense of giddiness, I hit the upload button. I went to all of my social media channels and shared my video. I posted it on my website, and I asked friends and family to share it with others. Well, if your experience has been anything like mine in this regard, you can probably guess how that turned out. In a few days, I’d managed to rack up about 75 views — and then nothing. I didn’t want to keep bugging people on social media or in emails, but I added a link to the video on my profiles, hoping this would encourage some activity. After about a month, my now tempered expectations were thrilled that number of views had exceeded 100. 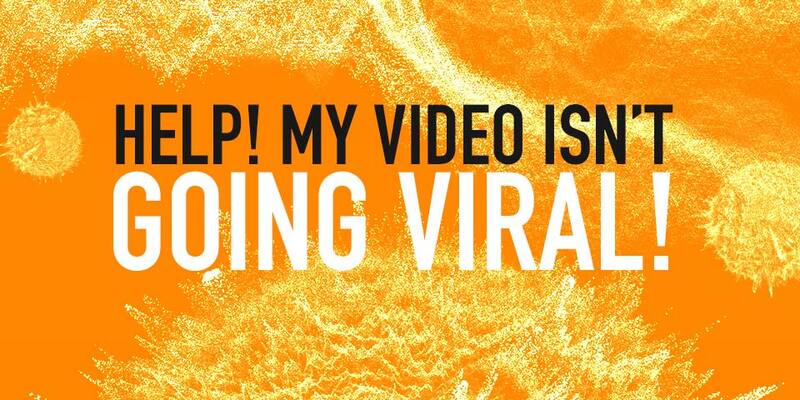 For all of the exceptional things that I know video marketing is capable of, at the time, I couldn’t understand why my first video seemed to fail so miserably in generating much interest, let alone “going viral”. But as it turned out, I learned a very important lesson. I was in fact undervaluing the video’s potential by looking at only a single metric — the number of views. There’s nothing wrong with looking at the number of views as a metric, to help you understand what kind of activity is surrounding your video marketing. But the biggest problem with view counts along with the number of likes or comments that you receive is that they can obscure a much more important set of data. So let’s reset and look at video projects from the very beginning, to better understand what we want to achieve and then measure that. First things first. It’s a good idea to sketch out a couple of high level goals for your video content before even hitting record, or even starting a script. Do you want to build a brand awareness? Do you want to better explain your products or services? Do you want to give people an inside look at your company? Do you want to share success stories from your clients? Do you want to explain a particular process? The answer to the question, “What is my video for?” should give you a pretty idea about what questions you want to answer, or what the utility is to your customer, or what the value is to your brand. Example: for a brand awareness campaign, the number of views of your video might be a more significant metric than, say, the number of views for a conversion focused video such as a product promotion where the goal is to prompt user action. For the piece that promotes your product or service, views don’t matter as much as other metrics such as audience retention or demographics data. If having a video on your product’s landing page helps to improve conversions and address customer concerns or questions, thereby saving you time and money as well as fostering and nurturing prospects, then measuring the value of your video content based on the number of views alone doesn’t really make much sense. Instead, you want to look at a set of metrics relevant to your video content that measure the benefit it provides in context: for example, average percentage viewed, geographical location, embed sources, shares, and any others that help you connect your video’s performance with your business and marketing goals. Here’s the most important thing that I learned from that first video I posted online, the one that got about 100 views. Forget “going viral”. That’s not a realistic or even measurable goal. Ultimately, the real value to me wasn’t in just the number of views or shares or comments or likes, or whatever. The real value was when prospects or potential customers saw the video — even if it was just two or three out of the 100 — and contacted me to do work for them. The real value is that my video achieved its true goal: bringing in more business and generating more interest in my brand.